Grammy Award night (Feb. 12) may be a big night for both Maren Morris—nominated for four Grammy Awards, including Best New Artist (all genre) and Best Country Solo Performance—and Kelsea Ballerini, nominated for Best New Artist (all-genre), but the young ladies enjoyed another big night out Saturday evening (Feb. 11), when they scored an invite to music mogul Clive Davis’ annual pre-Grammy party—rubbing shoulders with music’s elite. when the praises go up, the blessings come down, and @rachelplatten @torikelly and I dance along. 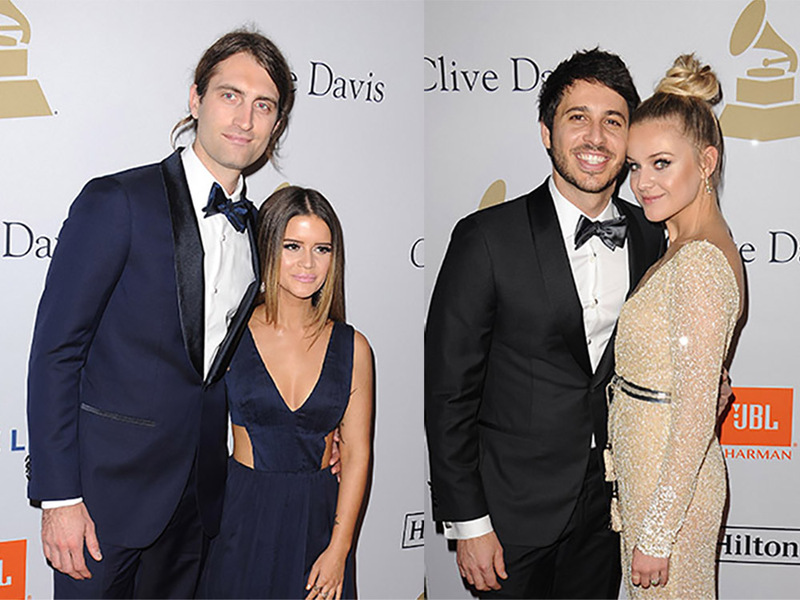 Clive’s star-studded party, held in association with the Recording Academy, was held at the Beverly Hilton Hotel in Los Angeles. Among the artists that attended the party were Britney Spears, Joe Jonas, Paris Jackson, Tori Kelly, Rachel Platten, Barry Gibb, JC Chasez, Matthew Morrison, Lucas Graham, Paula Abdul, Diplo, Halsey, Neil Diamond, Jennifer Hudson, Courtney Love, Mary J. Blige, Elle King, Chance The Rapper, Pete Wentz, Taylor Dayne, LL Cool J, Jesse J, Rita Ora, Zayn Malik, Lorde, Andra Day and many more. Check out photos of Kelsea and Morgan and Maren and Ryan from the party and tune in tonight to CBS for the 2017 Grammy Awards on CBS at 8pm ET.